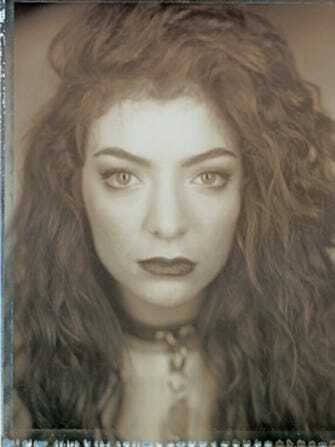 We don't need to tell you that Lorde's meteoric rise is due almost entirely to her raw talent. But, as we learned in Rolling Stone's brief but entirely fascinating profile, that doesn't stop the pop vultures from swooping in on her: Lorde tells Jonah Weiner that she has been approached by the famous Dr. Luke, a.k.a. Luke Gottwald, the man behind much of Katy Perry and Ke$ha's respective success. No big thing. "I'm excited to maybe work with him — for other people...not so much for my stuff. But, it'd be awesome to figure out that side of things. He's got, like, an algorithm that just keeps working," she says. So far, though, Lorde doesn't seem to have much need at all of that infamous algorithm. She has dominated the charts of late, catapulting past Miley Cyrus' Wrecking Ball and Perry's own Gottwald-composed Roar. Jezebel's Dodai Stewart hit the nail on the head for a lot of people when she coined the phrase Naked Hot Body Fatigue in this article, and the mass appeal of Lorde's darker, more subdued, yet still provocative brand seems like pretty concrete proof of the same. Rolling Stone's profile only further reminds us what is so special about Lorde — and in this interview in particular, it's her relatability and imperfect appeal that shines through. She's had her credit card declined while riding the wave of sudden success. She prefers fish tacos over truffle pie. She doesn't complain or throw a diva fit because she has to take her drinks virgin at the Soho House. But, she's no fan-girling Jennifer Lawrence, either (let us be clear: That's no slight on J Lawr, who is equally lovable in her own way). At times, her attitude toward Hollywood and stardom feels more like that of a jaded, elderly silver-screen star than what we'd normally expect from a 16-year-old.